Once you have decided to have a wedding on board, the next thing to prioritize is how to give your guests the best time possible. 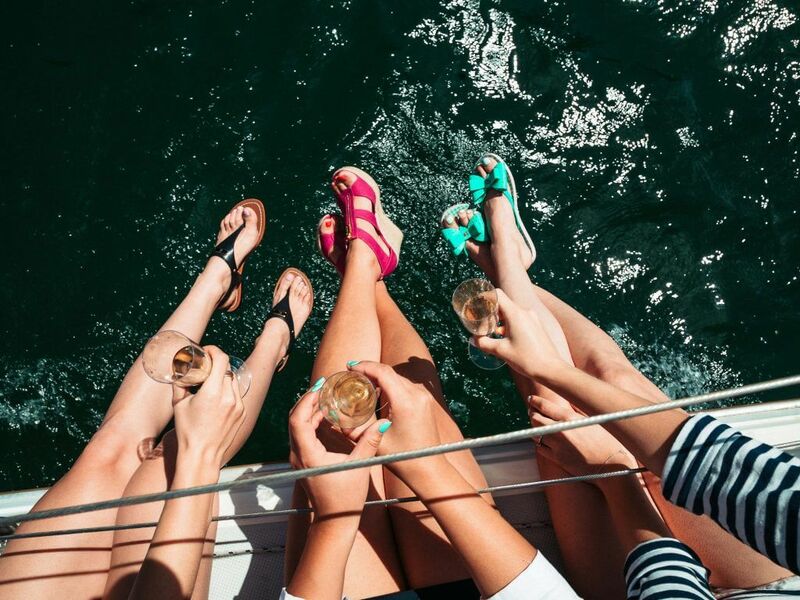 A yacht wedding party is interesting on its own, as it is unique and not frequently done, but there are definitely more ways on how to make it more fun and exciting. 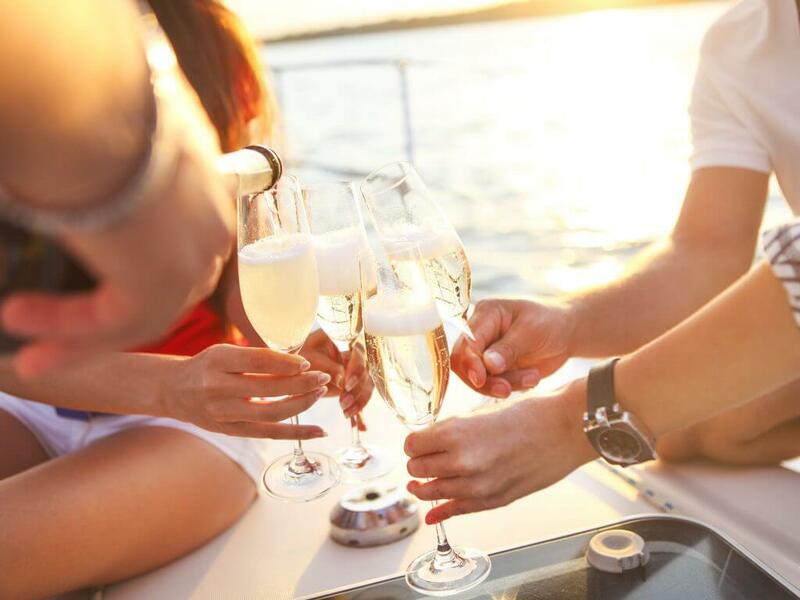 Aside from the perks of having a glamorous “venue” all to you and your guests plus non-stop celebration, a yacht wedding party is special as you have the liberty to decide on how it will unfold, from the boarding of the guests and the flow of the program, down to the activities and the favors. It will definitely help if you have a wedding planner with you to assist with all the necessary items in your list. 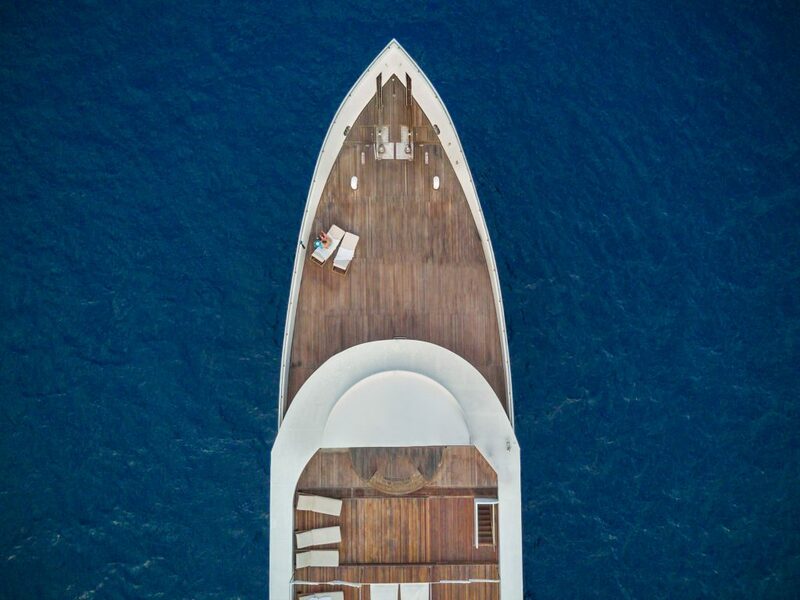 If you’re doing a yacht wedding abroad, make sure to hire someone who has done this particular kind of wedding beforehand and of course, someone who knows the best locations, services, and deals. 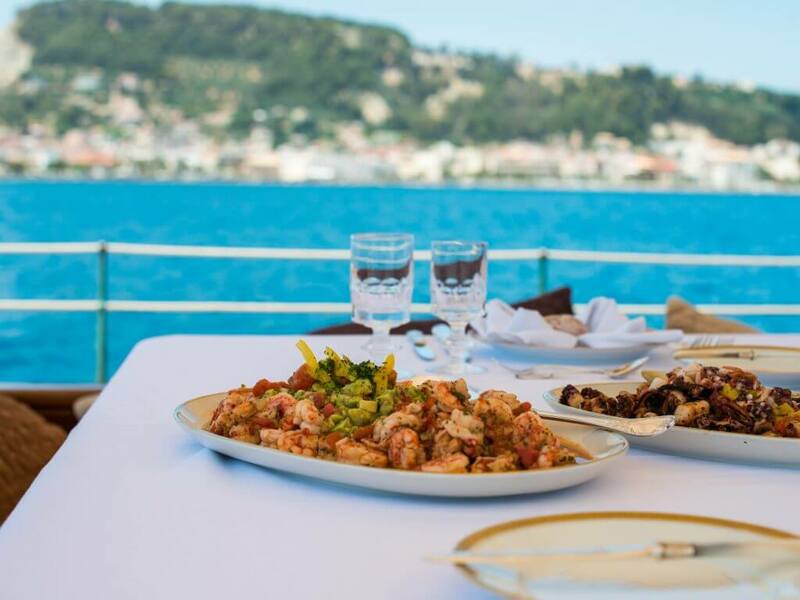 If you’re still in the dark about the particulars of what you should prepare, we’ve created a list of what you will need to pull off the ultimate and most unforgettable yacht wedding party. Read on to learn more. The most important thing to consider above anything else is your venue! You should have a boat that can accommodate your number of guests, with room for activities and partying. Having a cramped space will limit the enjoyment of the people present, that’s why it’s best to finalize your guest list earlier than usual. Your budget will also come into play regarding your choice of boat. Ask your wedding planner for boat recommendations for easier decision-making. 2. Say aye aye, Captain! 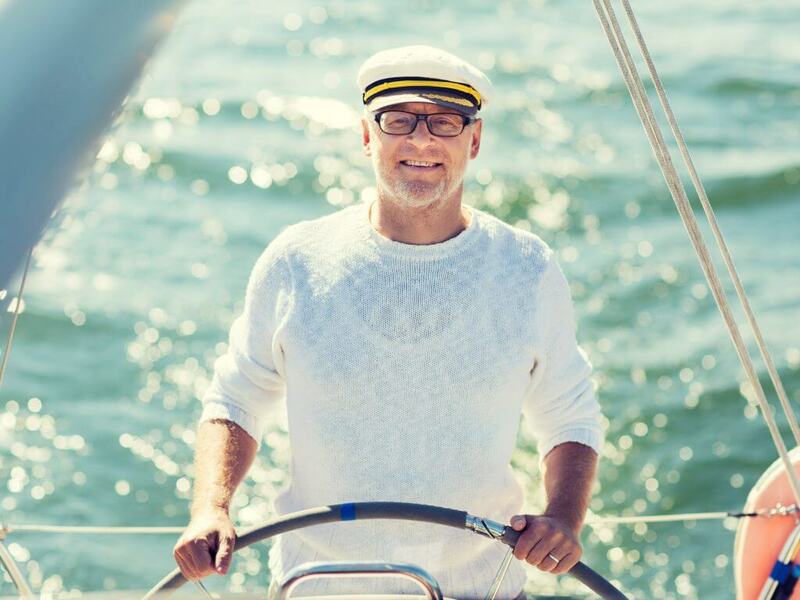 A yacht wedding is not complete without a knowledgeable captain to help you with your cruise. Go for someone with experience with this type of event. A great captain will recommend stops and activities, as well as hidden spots you can visit during the celebration. He’ll definitely know which route to take for a smooth and sweet sailing. You have a captain and you have a boat, next thing to take care of is a route for your wedding cruise. As mentioned above, you can ask your captain for recommended pitstops, but you can also get ideas from your wedding planner or by researching online. 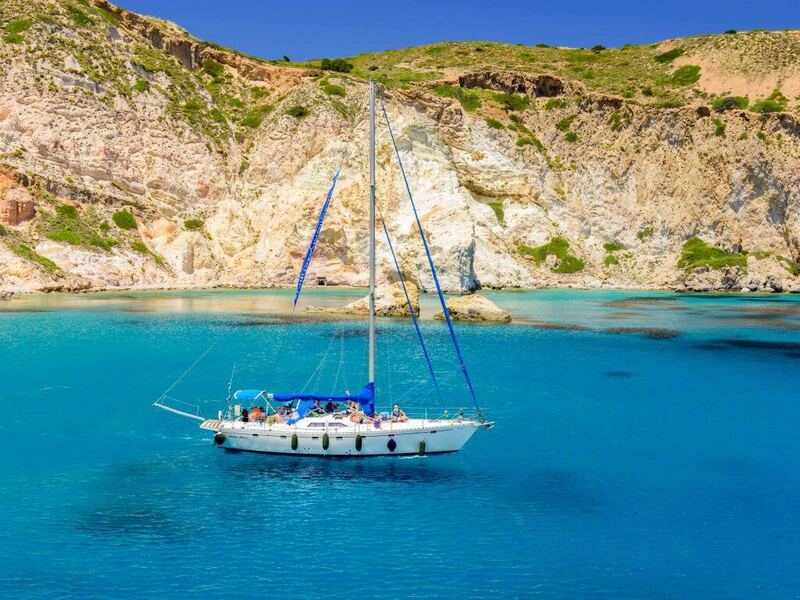 Greece, for example, has beautiful hidden islands which your guests will surely find enchanting. The secret is having a route that will showcase the beauty of your wedding destination, something that will leave your guests wowed. Having someone to host your party ensures that you and your hubby will enjoy the celebration. The host will also keep the energy going, leading the program and the activities. 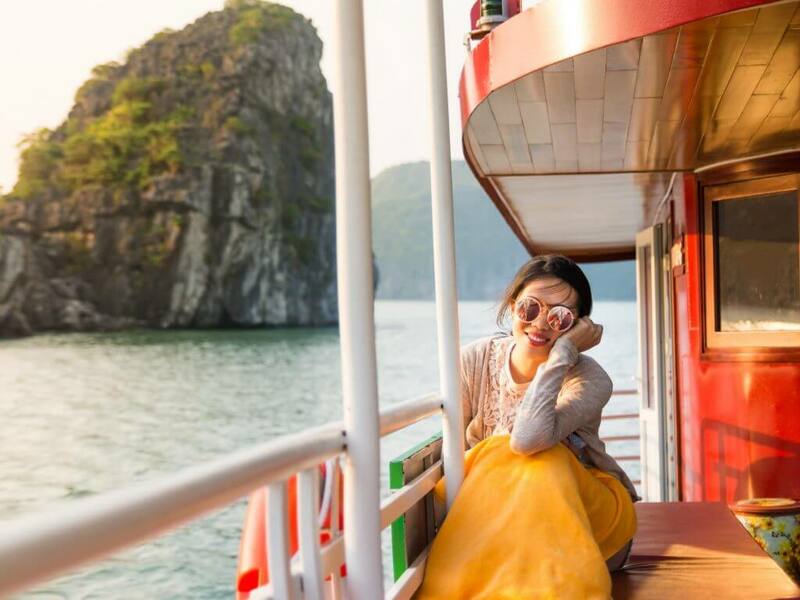 Hiring a local is best as he or she can also serve as a tour guide or assign someone from the wedding party who is known for his or her hosting and emceeing skills. A party is not complete without delicious food. Keep your guests from being grumpy by serving canapes as the appetizer and a full-course meal for dinner. It’s best to have a boat with a pantry to keep the meal warm and appetizing. You can go with the theme and offer classic seafood but can also get creative by serving some local dishes that your guests will surely love. 6. Cheers and bottom’s up! What comes with delicious food? Drinks! Make sure to allot a space for a drinks corner in your yacht party. Serve some nautical-themed drinks to add a quirkiness to the bar. You can hire a bartender to take care of this. If you worry about your guests getting intoxicated, tell him to keep the cocktails low on alcohol. Beer is always popular, and it’s best to serve some, too. 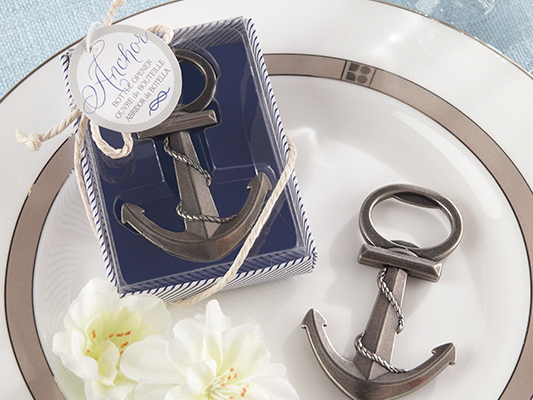 Set the mood by including on-theme decors to your wedding love boat. 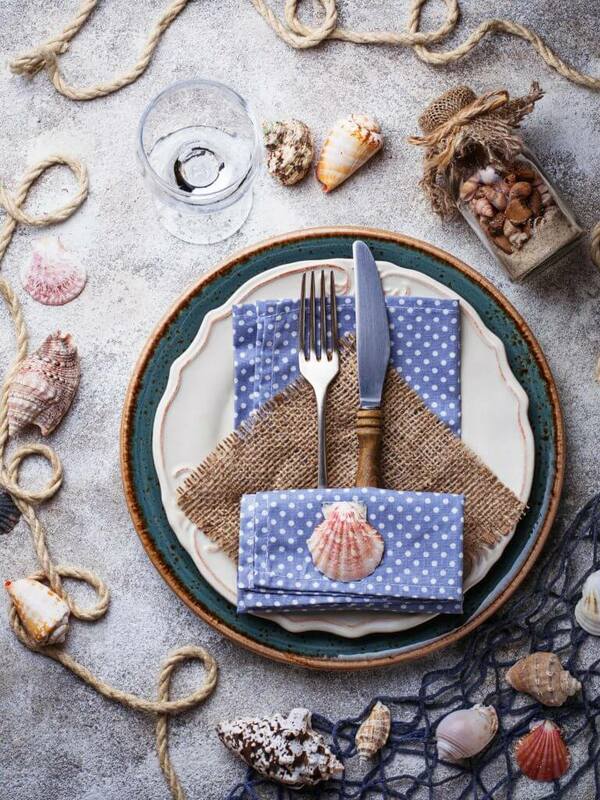 It’s best to use something that is connected to a cruise, like nautical details including a captain’s hat which your guests can use for their photos, buntings in white and blue to add color to the venue, artificial shells and starfish for some ocean vibe, and some wooden anchors for an authentic “sailor” experience. Aside from your main course of dinner or lunch, make sure to prepare a “treasure box” of treats which your guests can munch on during the cruise. This will keep them from getting bored. This is also especially helpful if you have kids on board. 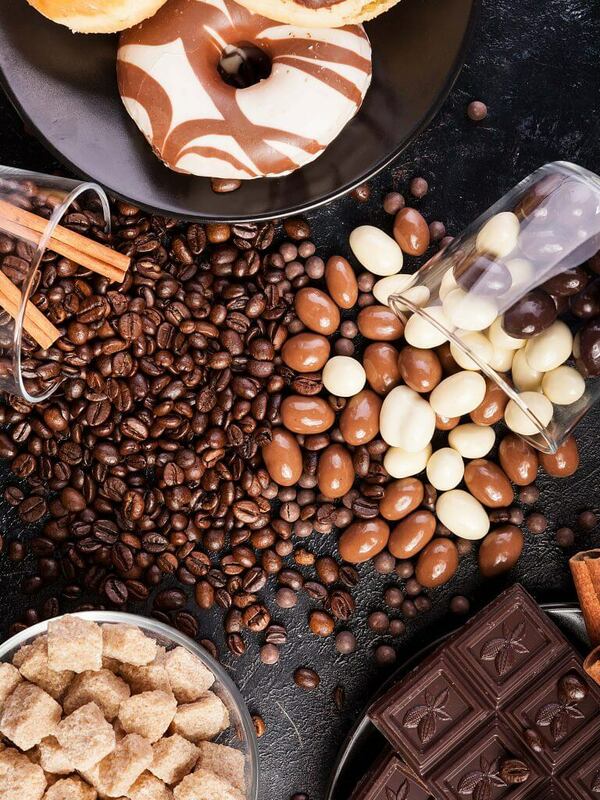 Include chips, chocolates, and candies that are always popular with both the young and old. What’s a party without lively music? A boring one. 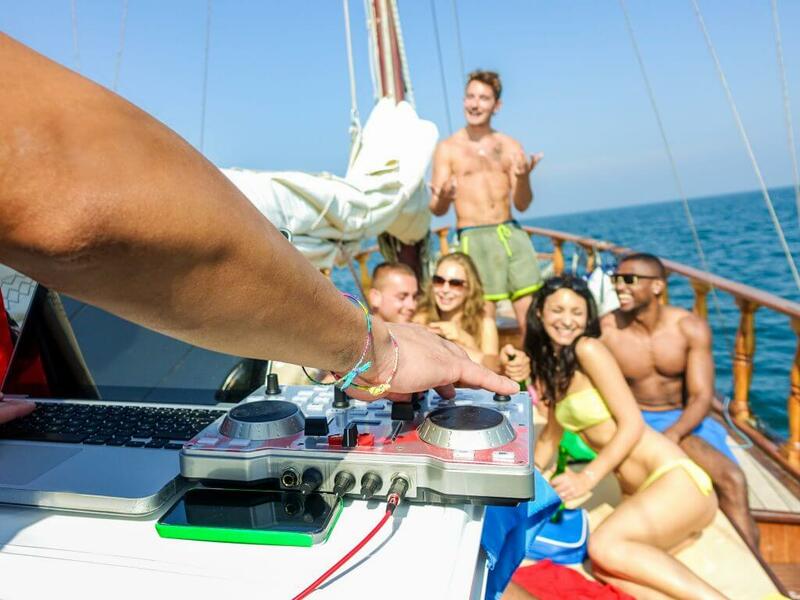 Prepare a playlist for your wedding cruise or hire a DJ to take care of the music all throughout the celebration. Don’t forget to include songs significant to you and your betrothed. Play some lively beats during the day to keep the energy high and some melodic love tunes during the night while your guests dance under the stars. So romantic! Surprise your guests with a bag full of beach essentials like sunblock, towel, sunglasses, flipflops, and a beach hat, upon boarding the boat. This is to keep them protected during the cruise. You can have the bag personalized with you and your partner’s initial. Keep your guests hydrated by providing water during the cruise. This is very important as cruises can be hot and humid. 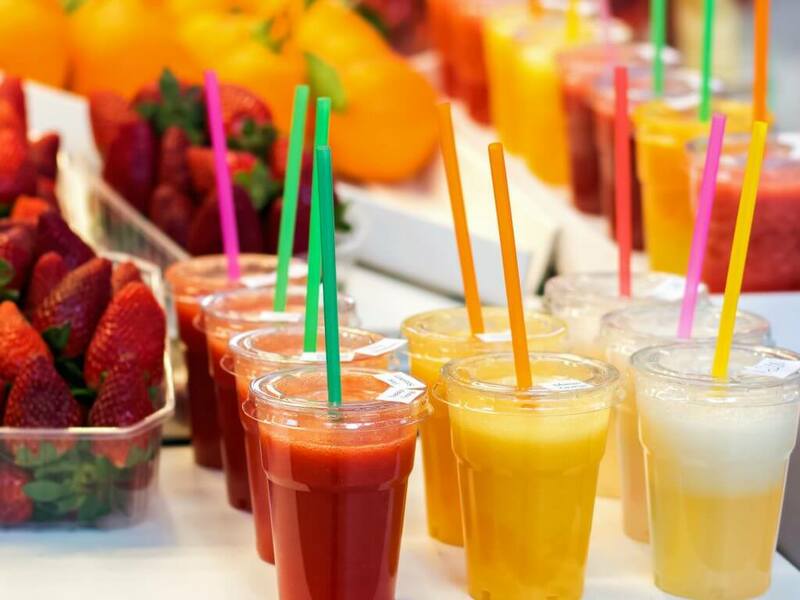 A bottle of cold water will keep them fresh and satisfied or a glass of fresh fruit juice. One nice idea is you can serve the water in reusable bottles or flasks which the guests can take home. Make sure to put in your initials to the design to add a personal touch that will serve as a remembrance of your special day. Card and board games, that is! 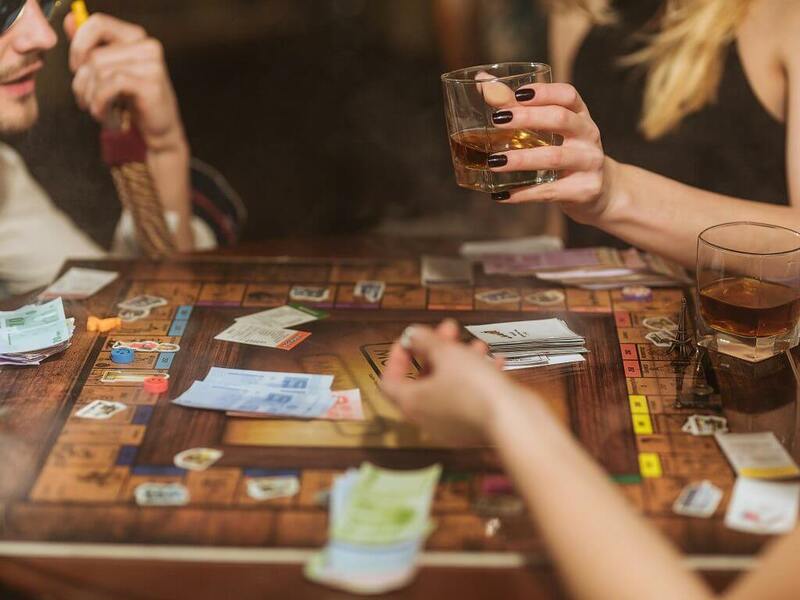 If some of your guests want to keep things low-key and relaxed, bring out some games that they can play while sitting or lying around. This is a fun way for your guests to get to know each other. Group them into teams while you and your hubby take the spot as leaders. May the best group wins! What’s the point of having a cruise party when you can’t enjoy the water? Make sure to include some watersports in your yacht wedding. This is a surefire way to get your guests entertained and happy. 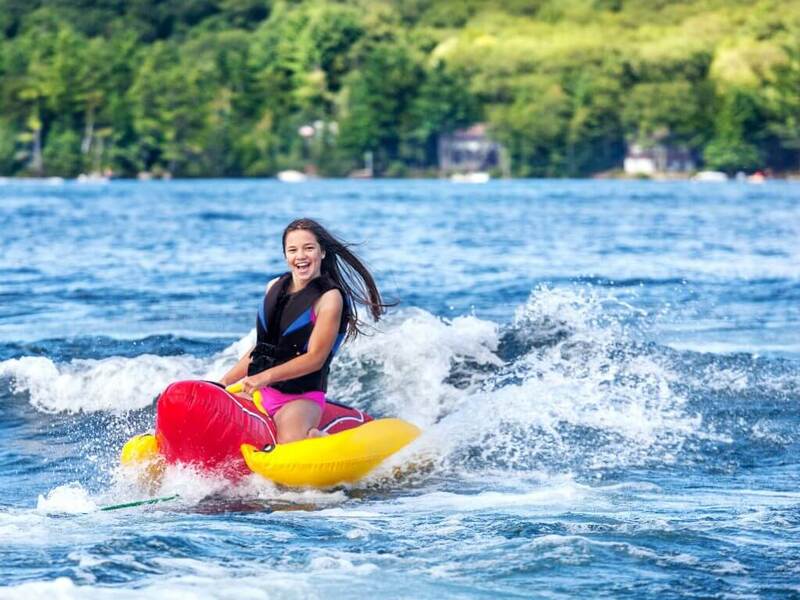 Rent inflatable waterslides and floaters, provide some snorkeling and paddle boarding gear or hire a jet ski your guests can ride. This is taking your wedding celebration to the extreme! Amidst all the fun, make sure to take into consideration your guests’ safety and welfare. 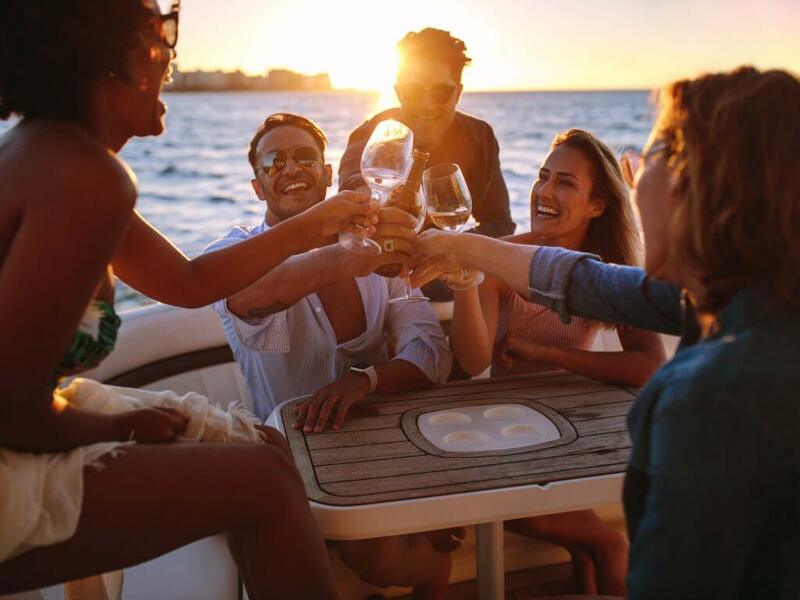 Ensure to hire a legitimate cruise yacht that has proper cred and experience with this type of celebration. 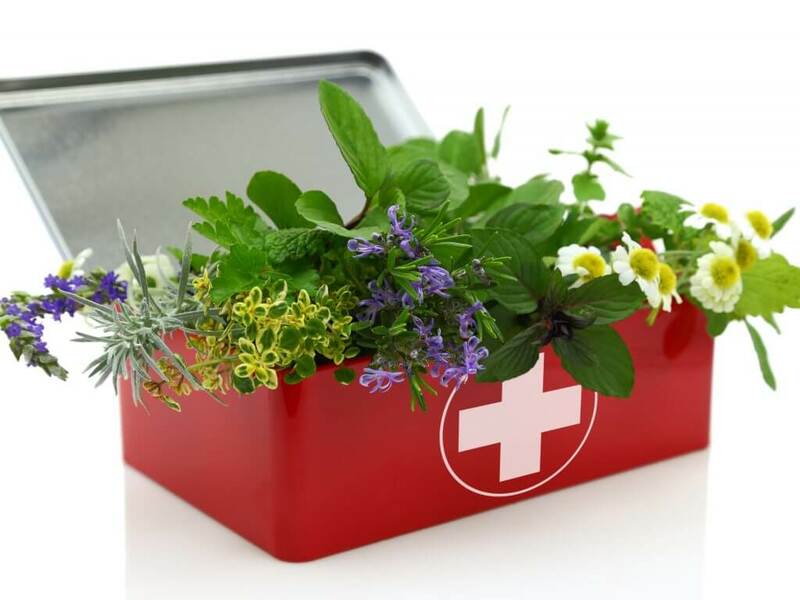 Make sure that you have a first aid kit on standby for an unforeseen circumstance like accidents. Have meds handy for motion and sea sickness. Keep an extra bottle of balm for sunburn and rashes. If you have a budget to spare, send your guests home with a wedding favor that signifies your wedding. This ensures that they have a piece of this unforgettable moment with them. No need to give something grand or luxurious. The favor can be simple, like a keychain, a coaster, a bottle opener and even a polaroid photo. Photos or it didn’t happen. Hiring a photographer is crucial as he will be the one to document all the things that will happen during the celebration. He’ll be in charge of immortalizing the most special day of your life. You can bring one from back home or hire a local. The latter is better as the photographer can also do your pre-wedding shoot. Once the night comes, the weather can be cool and chilly. Keep your guests warm by giving out blankets — this makes the trip back to the hotel after the party cozy and comfortable. 18. End with a bang! 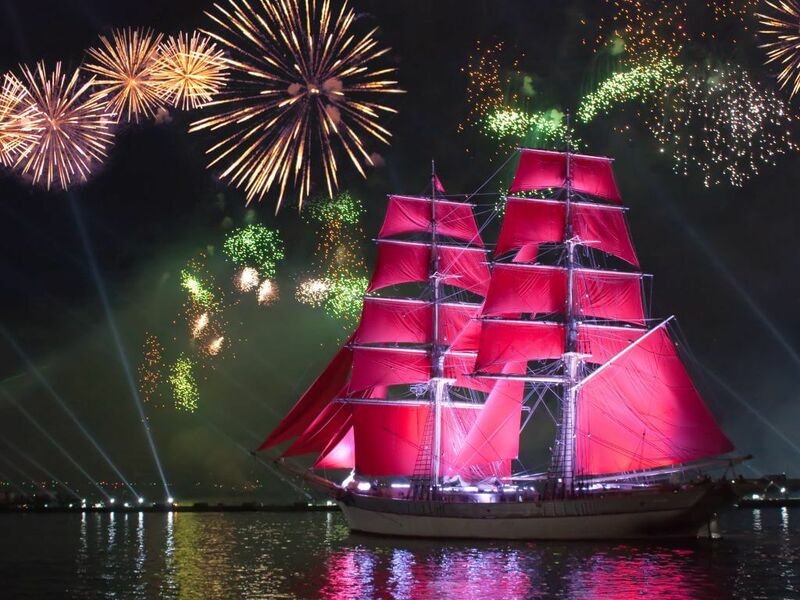 Wrap up your wedding cruise with a romantic fireworks display. This will be perfect as the ocean and the clear night sky will be your backdrop. Before going through with this, ensure that you have the necessary permits or that the island or location you’re at allows this kind of activity.